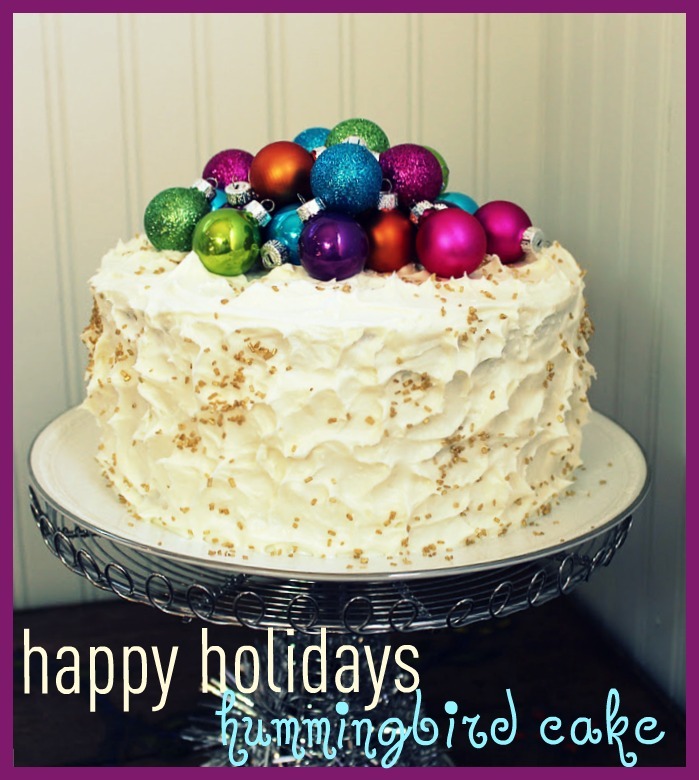 Hummingbird cake is a dessert staple of the South. There are several legends about its history. The name is said to have come from the sweet nectar that the hummingbird finds. The recipe for Hummingbird cake is one of the most requested dessert recipes of all time and THE most requested recipe in Southern Living Magazine. 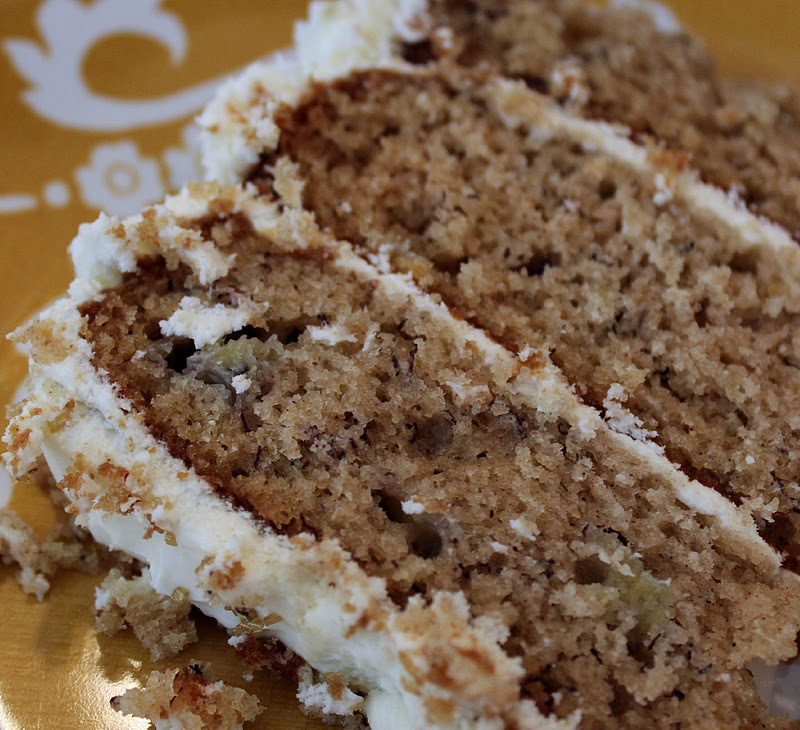 Its key ingredients are crushed pineapple and chopped bananas. and piled on colors and colors of bright ornaments. 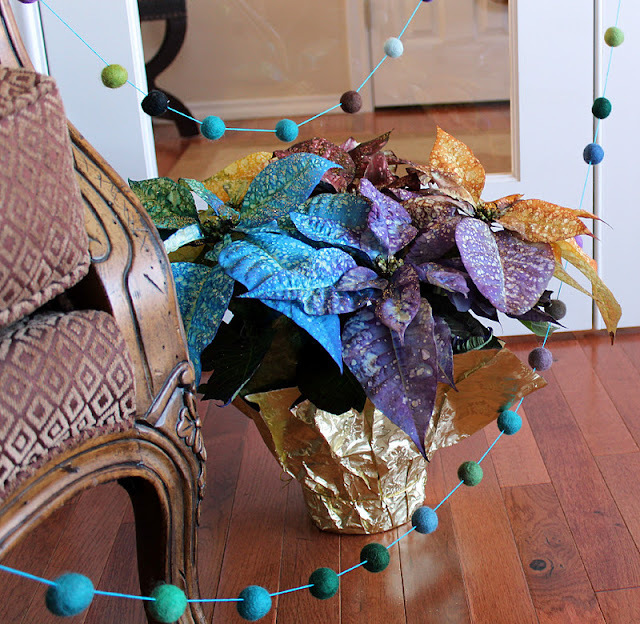 In more colorful fun, the kids and I strung some jewel-toned felted ball garland. Remember we do the 25 Days of Christmas ADVENTure calendar? Creating this garland was one of the holiday projects tucked away in one of the envelopes. ...the Moore boys doing their thing. 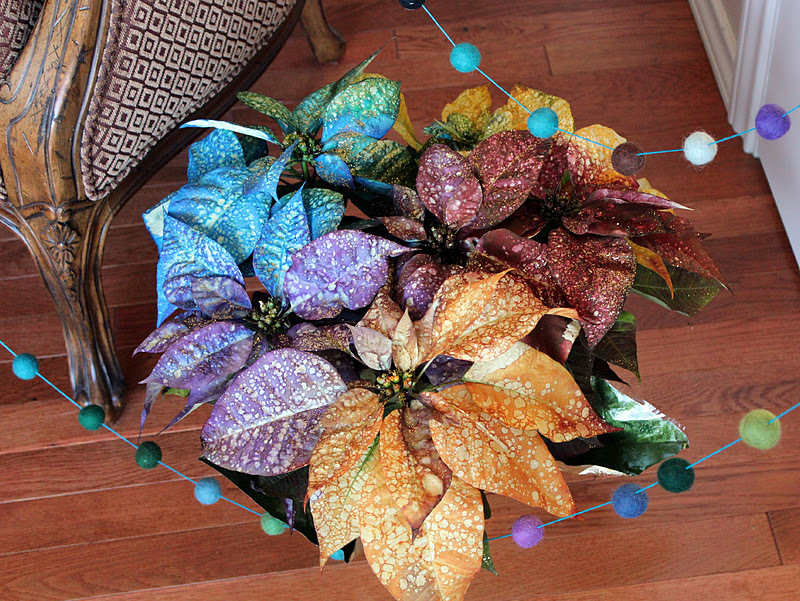 These colorful poinsettias are real! I found them at a local nursery and grabbed some up for gifts. They are super festive and happy. 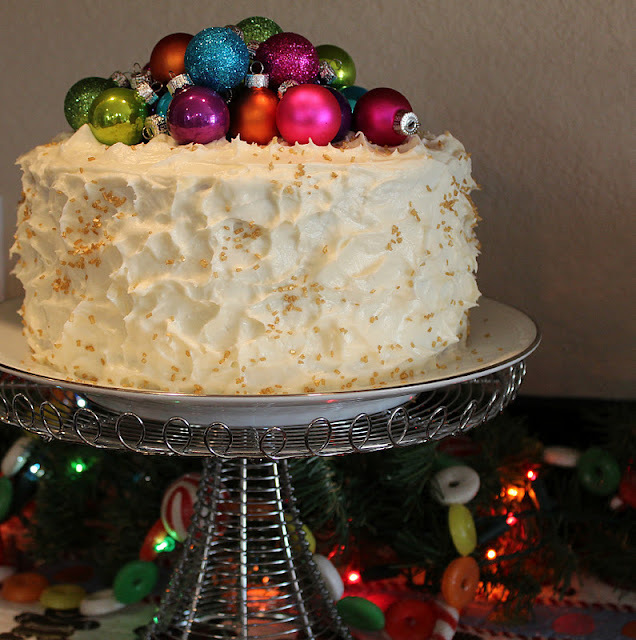 I have been hearing more and more about this cake...is it a Southern tradition at Christmas? It's beautiful and looks delicious! 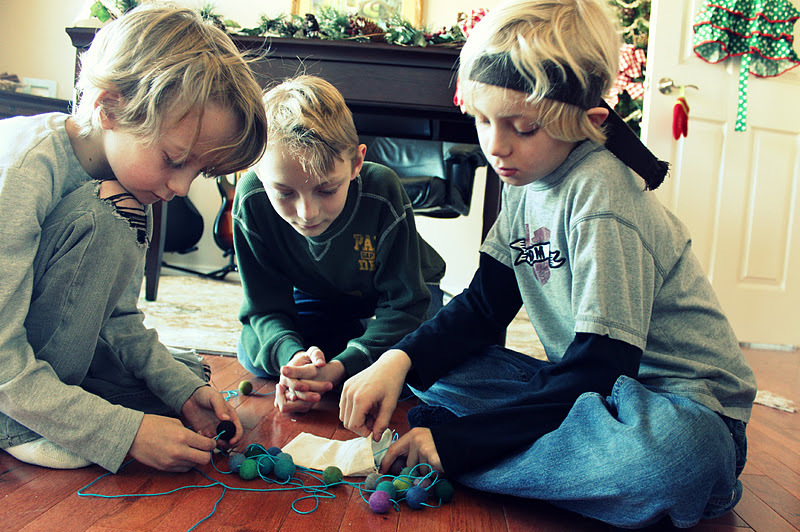 Your boys look like they are really into making the garland! SO cute! The cake looks delicious..I have never heard of it before..I love your cake stand..And the poinsettias I have never seeen in those colors..They are beautiful..
That cake looks so yummy!! I'm going to have to find teh recipe!! 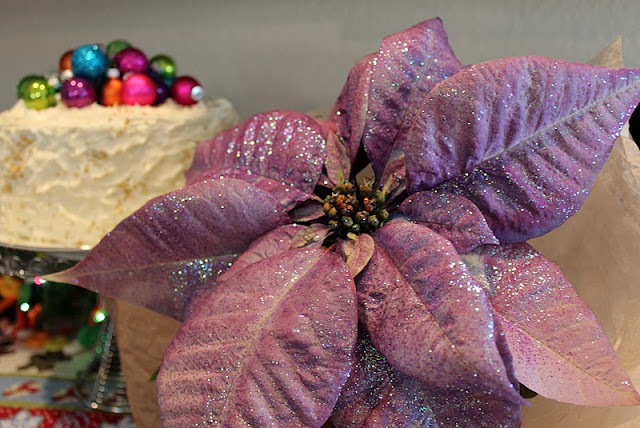 And those poinsettias are just stunning!!! 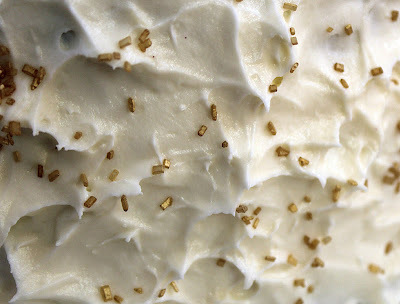 What an adorable way to decorate a cake - so festive. Quite clever. Wow. How gorgeous! I was thinking for a second those ornaments were edible. My husband would probably try to eat one! ha! The picture of the boys is really cute! They are getting so big, Lisa! It's nice to see the start of another lovely holiday here! 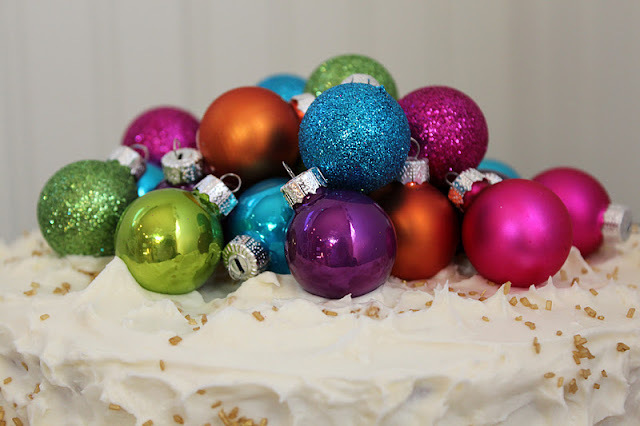 I would never think to use Christmas balls on a cake ... it looks so festive and beautiful. We might try that for our Happy Birthday, Jesus, cake. What a great way to decorate your cake! Love it! 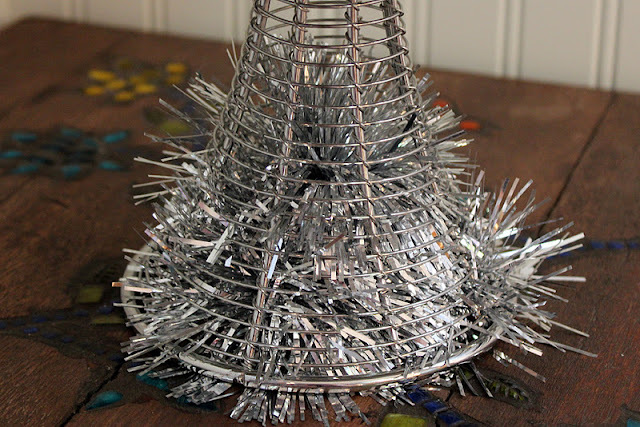 I hope you'll stop by today and link up at our Christmas party! "Messy hair, holes in jeans, belts around heads (???) ...the Moore boys doing their thing." I had to laugh when I red this! The funniest part is that I had no idea putting a belt around your head (a common practice of young kung-fu masters) was unusual. 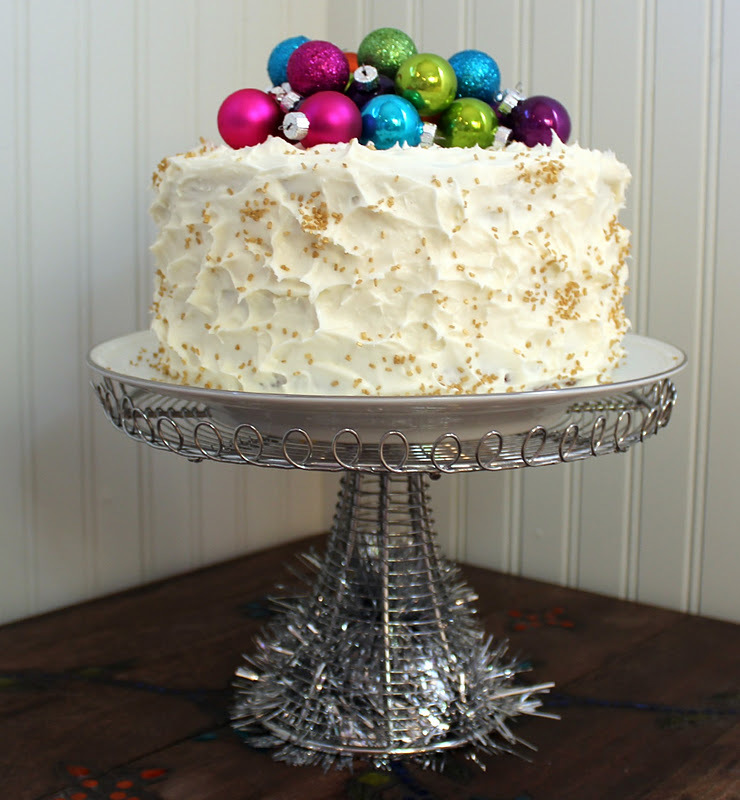 i LOVE that you put ornaments on top of the cake. it looks amazing! Such a beautiful presentation! Now I'm off to find the recipe. The cake looks so good and the garland is great! Your cake is so pretty. I made one last week and its all gone. Your cake looks so delicious! Since I live in the Low Country now, I see a lot of this listed on dessert menus....I must try.....Red Velvet is also popular down South and I love it! I am one of your new followers, feel free to visit my blog and follow if you wish!